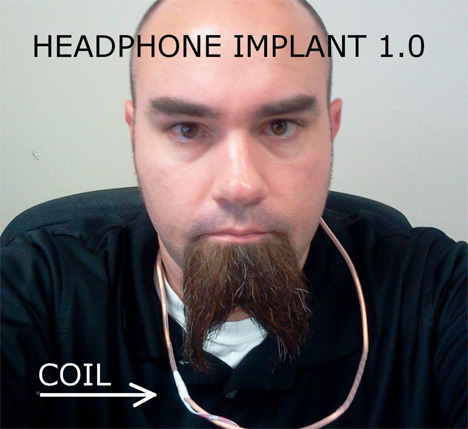 There is a body modification subculture that makes alterations to improve one’s quality of life. Its members are called grinders, and one in particular has modified his senses in a very thought-provoking way. Rich Lee is partially blind and his condition will eventually render him sightless. 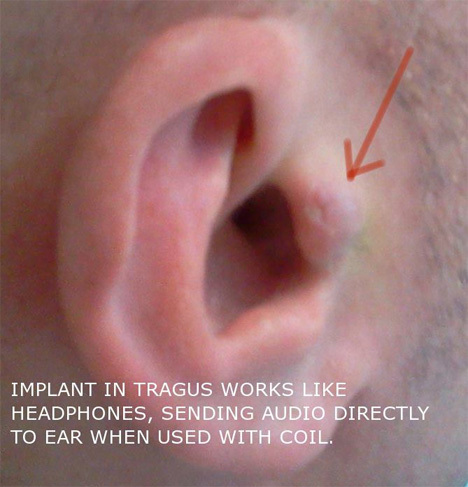 As a practicing grinder, he had a magnet installed behind his ear that will act as a speaker. The magnet is connected to a coil that hangs around his neck. It magnifies sound, not only allowing him to enjoy music, but giving him echolocation, a system that greatly increases mobility for the seeing impaired. When the magnet and coil are hooked up to an ultrasonic rangefinder, a hum is produced and the sightless can detect people and objects around them, much like the way bats navigate with their hearing. It may be shady and dangerous, but if it ultimately helps, it may be justified and at least opens doors for ‘grinding’ to increase its legitimacy.